Over the past four years of being an indie author I have sat back and made a few observations about the publishing landscape. Many things have changed or evolved along the way. What was once taboo has become wildly accepted and praised by many. Dreams once thought to be unattainable are being reached on a daily basis. People with a voice are being heard. Careers are being forged. Lives are changed. But along the way I started seeing a trend among those indie authors who stood out among the crowd. Although there were many things that I could add to my list of 10 things best sellers do NOT do, these are the most prevalent. Best sellers do NOT rush a release. To be successful it takes time, planning and sometimes a huge dose of luck. You can not finish a book, edit it and hit publish the very next day. You need to build hype, create a need to read your book through teasers, excerpts, pre-orders, etc. Just because your book is done does NOT mean it’s ready to publish. Best sellers do NOT write only with themselves in mind. Wouldn’t it be nice if we could write only what we want and everyone love it? As an indie author who tends to genre jump and create characters that people fall in love with then tragedy strikes, I know what it is like to end a series in a way that I thought was amazing only to find that my readers did not agree. Insert the addition of EVERMORE to my “completed” Arotas Trilogy. Although characters have a tendency to hi-jack our stories and take on a life of their own, readers have certain hopes and dreams for the characters. To deny them that on a regular basis is not fair to them. Best sellers do NOT create or fuel social media drama. We have all seen it and most likely been drawn into it a time or two. It happens. People rant. Opinions are shared and blown out of proportion. I live by the old rule: never talk religion or politics. That’s a great way to create enemies. The same goes for the writing world, more so even perhaps. Have an opinion. Feel strongly about it. Just be cautious about sharing that opinion online where potential readers can “judge” your book, words and meanings by a rose tinted cover. Best sellers do NOT burn bridges. This industry, among so many others, is not easy. Countless amazing authors hit the virtual shelves each and every day. It’s hard to stand out. To rise above. To succeed. The best way to do that is to help, guide, teach and share the knowledge that you have. Schedules are tight. It’s not always easy to help a newbie along but a little kindness goes a long way into creating lasting bonds of friendship among the writing community and people will remember. 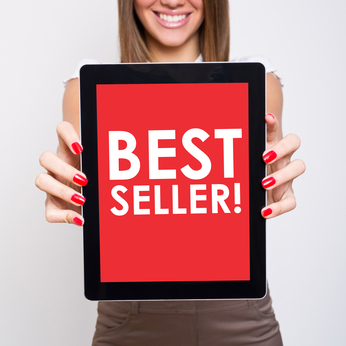 Best sellers do NOT rely only on themselves. Writing a book takes a team. An author. An editor. A copy editor. A formatter. A graphic designer. A beta team. A pr/marketing team. A street team. An agent. A publishing house. The list goes on and on. No one can do it all and do it well. We need help. We need professionals with the know how to lead us in the right direction. Our lives are complicated enough without attempting to be superman or woman. Best sellers do NOT set unrealistic deadlines. I have been known to do this a time or two *cough cough* and my friends and family can attest to how detrimental this is to my health, social and home life. The worst crux to creativity is having a deadline looming over you. That pressure to produce when you are tugged in countless other directions is difficult. Know your limitations and accept them. Remember to enjoy life along the way, otherwise nothing else will really matter. Best sellers do NOT treat writing like a hobby. Writing is a talent. Being an author is a business. You can not expect to ever finish a book if you plod along without direction or a plan. To be successful as an author you must make it a daily priority. Write something every day. Learn something new on a regular basis. Research the market frequently. Read as often as you can. Study your craft. Finish the book you start instead of bouncing around. Best sellers do NOT put all of their eggs in one basket. Our world is filled with wondrous variety. We like different things. Buy different electronics. Read in multiple languages. Live in countless countries. Limiting your books to a single ebook platform limits your ability to reach readers all around the world. Be global. Think broad. Dream big. Offer your books to everyone. Best sellers do NOT forget the readers who got them where they are today. The influx of the self publishing world has created a new and exciting opportunity for readers: the chance to actually SPEAK to their favorite authors. We are no longer faceless, unapproachable writers. We are on Facebook, Twitter, Instagram, etc. We answer emails and private messages. We have street teams for you to participate on. We host parties to do giveaways and just hang out. We spend thousands of dollars each year to travel to book signings for the chance to meet you face to face. The readers have become a priority. Best sellers do NOT give up. After publishing 11 novels I have yet to hit a USA today or New York Times Best seller list. And though these dreams are still very important to me, I place value where it should be: on making readers happy. On giving you a couple of hours of escape. Of reminding you of what love is and what its not. Of embracing the aspects we love most in life and pointing out the blessings. Am I a USA or NTY best seller yet? Nope. But I will be. Someday. Until then I will just keep writing. There is no crystal ball with all of the right answers in it. Some people just write the right thing at the right time. Luck. Experience. Dedication. Hard work. A refusal to give up no matter how many rejections you receive. Those are the qualities of a great writer. Not that I am really qualified to disagree, but… I sort of do with #2. We (imho) have to write our stories for ourselves… first. But we should be wise enough to listen to our beta readers and critique partners and editors when they say “This doesn’t work” to know that once we put a story out for the rest of teh world, it stops being ours and it needs to work for others too. Otherwise, love this list… Thanks for the write up, Amy. No. I totally agree that the ideas, characters and love for a book must always start with us. Where i see it as a detriment is at the point when an author stops listening to advice, ignores what critiques they are given all for the sake of an “i know better than you because its my story” sort of mentality. To succeed you have to consider your audience, genre trends, etc. writers can write anything their hearts desire but that might not equate to a best seller. Many times writers try to release a book thst is so far off from whats popular and then scratch their heads as to why no one buys their book. That can be very difficult to deal with. It’s strange to be made aware that what you enjoy in a book isn’t necessarily the popular taste, and sometimes you have to consider–do I not write the book I would love because my fans would love it? Do I do something I hate because I’m the only one? It’s a hard decision to make, especially when you’re not even positive your fans actually will care one way or the other. Thats very true. I usually say go with what your gutt tells you. After a few books you get to know your readers, usually through social media, and know what it is they “need” from a book. Some need a happily ever after. Others want realism. Im one of those authors who wont write love at first sight or the perfect romance. Love is hard, annoying, beautiful and many times sacrificial so sometimes readers get frustrated with my books because of the choices my characters make to protrct those they love but an author puts as much of themselves as the characters into their books. I cant write gushy romance. Ive tried and it turned into a thriller because i got bored. Its all about finding a happy medium so both sides feel like they have been heard. You’re welcome! It was very informative. Great post! It’s given me lots to think about my own book writing.